You’re a clinician, you get it. You say it all the time to clients but do you know it? There really truly is only one you. One unique distinct person with a particular set of genetics, conditioning, training, and expertise. One individual placed at the right time and space perhaps to really solve a problem. 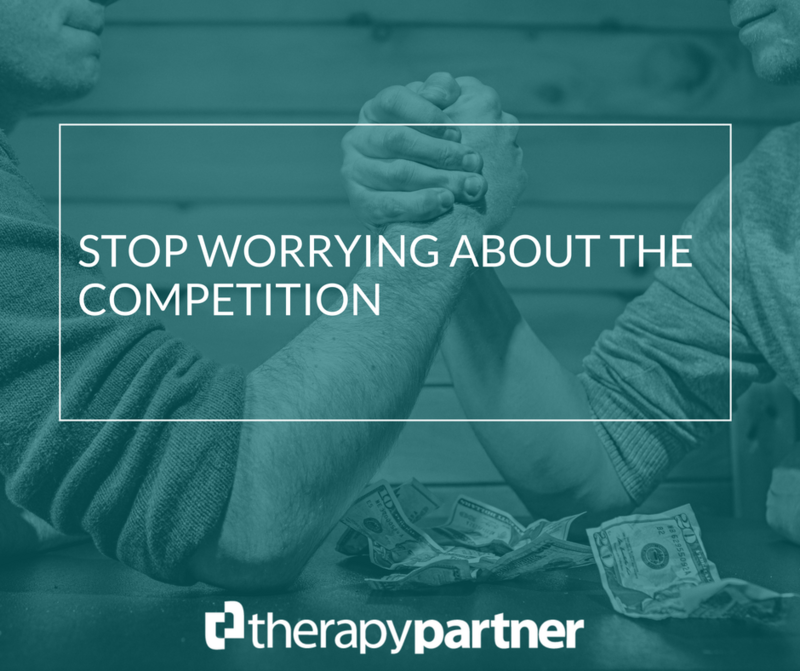 Worrying about the competition in private practice does not help you serve your clients best. Don’t try to copy models or practices that appear successful. Instead listen carefully for your own beat and begin the march. Being the very best professional expert you can be is a brilliant way to start or re-position any practice. The brand is the niche you fill for the clients you care most about. Part of this brand is you, your essence, and is driven by what you are most passion about; even if you’re building a clinic or group practice. It still needs to be positioned in terms of what the customer desires and what problems you intend to solve. It never works to copy a formula or try to be someone else. We’re quite often too distracted with one another, the “competition”. Forgetting to look at who matters most, the customer. What are they suffering from and what is your solution? How will the client feel after you have helped them? Selling self-change is a type of sale, even if that word feels foreign or dirty. Great sales begin with identifying the problem someone is suffering from and perhaps more importantly clearly outlining what the person will feel like after your product “therapy” is implemented. Copyright © 2019 Therapy Partner, LLC. All rights reserved.